Critical Infrastructure Protection and Resilience North America (CIPRNA) has announced the US Assistant Director for Infrastructure Security, Brian Harrell, will deliver the opening keynote at this year’s event in Tampa, Florida, 7th-9th May 2019. 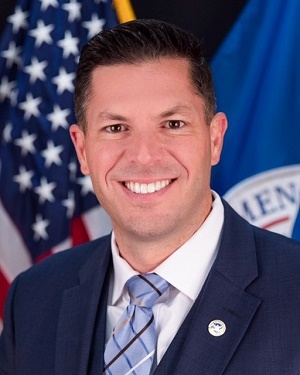 Brian Harrell was appointed by the President of the United States in December 2018 to serve as the Department of Homeland Security’s Assistant Secretary for Infrastructure Protection. However, Brian now serves as the first Assistant Director for Infrastructure Security within the newly renamed U.S. Cybersecurity and Infrastructure Security Agency (CISA). Recently recognized as Security Magazine's Most Influential People in Security, Brian is the former Managing Director of Enterprise Security at the Duke Energy Corporation. He is also the former Director of the Electricity ISAC and Director of Critical Infrastructure Protection Programs at the North American Electric Reliability Corporation (NERC) where he was charged with helping protect North America's electric grid from physical and cyber-attack. Brian has spent time during his career in the US Marine Corps and various private sector agencies with the goal of protecting the United States from security threats. Critical Infrastructure Protection and Resilience North America is the only event of its kind in the US and is supported by the US Chief DISA/DoDIN Critical Infrastructure Protection (CIP) Program, as well as the International Association of CIP Professionals, the Government Technology & Services Coalition and Global Institute for CyberSecurity & Research. In addition to a whole conference programme of expert speakers from across the critical Infrastructure (CI) community, the City of Tampa itself will present a true-life, multi-discipline, multi-agency case study on the practical application of critical infrastructure protection and resilience. Critical Infrastructure Protection & Resilience North America provides a unique forum in which to meet and discuss the issues with some of the most influential and experienced infrastructure security and resilience policy makers and practitioners in the world. The event will be held at the Doubletree Hotel Tampa Airport – Westshore just five minutes from Tampa International Airport. Further details can be viewed at www.ciprna-expo.com.